Check back next year for more updates on our list of Superband artists. The Music Hall Center for the Performing Arts is producing a tribute to Music Legends, The Jacksons, and they have assembled a super band of performers including guest singers and musicians. The Superband will be performing their tribute at the exclusive 2018 DMW Gala Evening and the Day of Concerts for FREE! As guitarist and co-writer for popular band, The Infatuations, Nick Behnan has performed at some of the most noted venues in Detroit. The band has also accumulated over a dozen Detroit Music Awards and landed licensing placements on network TV shows including Chicago Fire, and Jane The Virgin. Nick’s music has appeared on network television, commercials, and films in the US and abroad. Detroit native, Derrick Benford currently serves as Founder & Band Leader of Detroit-based band - Derrick Benford Trio - that meshes gospel, jazz, hip-hop, and R&B. He is also the Musical Director for the Mt. Zion Baptist Church and keyboardist for The Gene Dunlap Band. 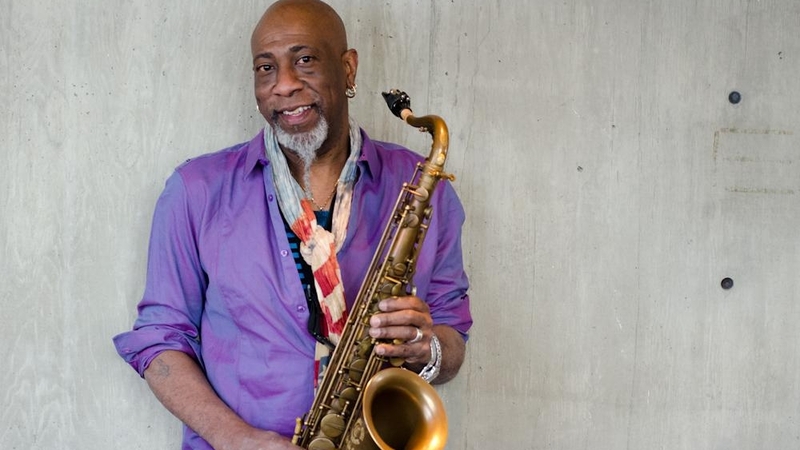 He has performed across the U.S., U.K., and Asia - working alongside Vassal Benford, Mike Powel, Chantae Cann, and more. Detroit born, Anesha Birchett, comprises the singer/songwriter duo, APLUS with her sister Antea Birchett. Being products of a city known for its grit, fight and brute, these sisters know what it means to “go hard or go home”. Over a decade they have penned and placed songs with the likes of celebrated industry notables including Beyoncé, Jennifer Lopez, Justin Bieber, Ciara, Mary J Blige and many more. These placements have earned APLUS tremendous respect for their talent and skills. Wrote or co-wrote, and or produced, co-produced, including " U Can't See Me " and " When Two become One " from Aretha's new cd " A Woman Falling Out of Love ", Anita Baker " You're My Everything ", Wendy Moten " Come in out of the Rain ", UAW theme " Strength in Solidarity " featuring Fred Hammond and Wendy Moten, Oleta Adams, Dorinda Clark Cole etc. When it comes to music, Herschel Boone is no stranger. Herschel got his start singing with his 3 older brothers; two of whom had previously been established as recording artists. 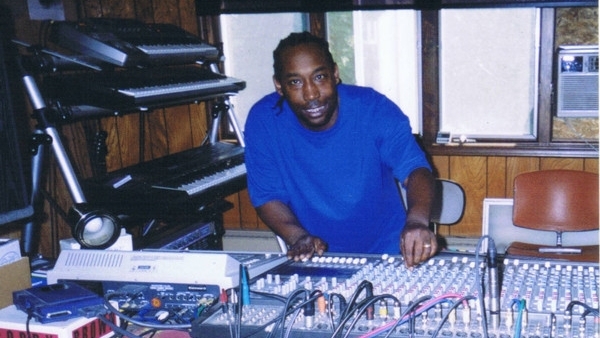 Herschel has written and produced a top 40 single for the group “IX Example,” and has written for Debelah Morgan, who had a top 5 single on Billboard’s Hot 100. He has worked in many different capacities with artists such as Mary J. Blige, R. Kelly, Anita Baker, and more. Drummer/ Songwriter/ Producer. Born and raised in Detroit, Buddy has a passion for teaching and mentoring the youth as he has been the percussion instructor at Glenn W. Levey Middle School Since 2013. Music has allowed buddy to travel with the likes of YOUNG JEEZY, Kierra “KIKI” Sheard, Zo! and many more along with being on international the Christian Television Network, “The Word Network” as their house drummer. Kiko is the lead singer for the Larry Lee and the “Back in the Day Band" and a national tour singer for K'Jon. She has opened for Charlie Wilson and performed in the stage play, "My Brother Marvin", about the life of Marvin Gaye. Kiko was nominated for the DBMA "Female R&B Vocalist of the Year" for 2013. A self-taught musician who was born with the magic touch, groomed in the church by playing in the church band DoRohn learned how to manipulate the keyboard to produce magnificent sounds never heard before. He has worked with Chris Brown, Ne-Yo, and more. DoRohn is currently the Music Director for Ne-Yo’s live performances and tours. This much sought after Detroit based bass player has toured extensively in the U.S., Europe, Asia, Mexico and Canada. 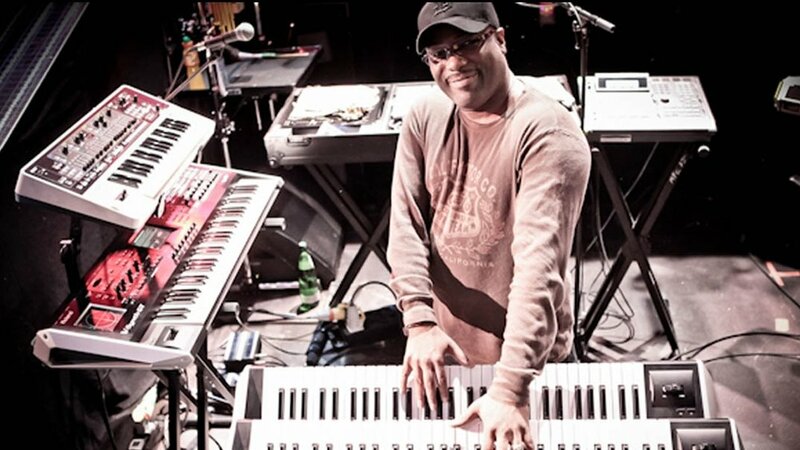 His 25 years of experience includes bassist/musical director for both Sean Kingston and K’Jon, as well as the bassist for Brian Culbertson, The Spinners, KEM, and many more. Haile J is a phenomenal songstress/songwriter, actress, and fashion model. Her first love is music. She’s been performing since she was 10 years old and hasn’t stopped yet. She currently has 2 hit songs available on all digital outlets and more music is coming soon. Elijah Johnson is an 18 year old phenom talent. Selected in 2010 from among thousands for the role of young Simba in Disney’s Broadway Musical, "The Lion King", he has since won numerous talent showcases around the country, appeared in a feature film, a gospel stage play and several commercials/infomercials. He performed for the Governor at the State of Michigan's Christmas party and is currently preparing his debut album. 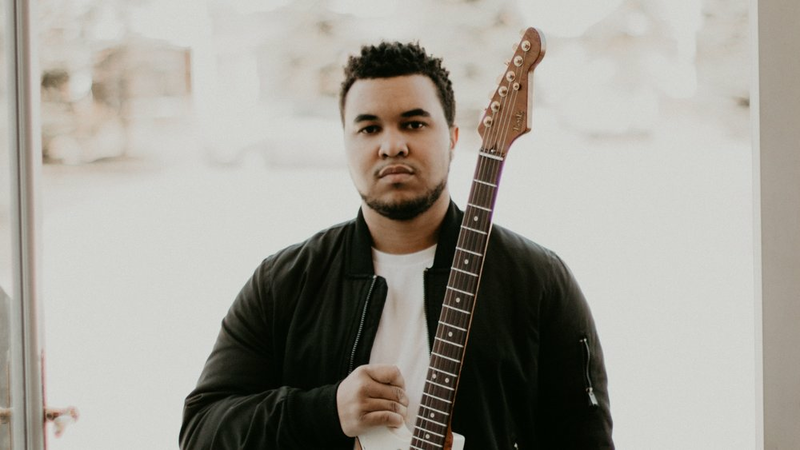 Garrett is an American guitarist, producer, and composer that by continuing his practice and hard work, has positioned himself to be a part of Detroit’s finest musicians. Gratefully, he has been blessed to share the stage with numerous Grammy and Stellar Award winning/nominated Gospel artists such as Tasha Page-Lockhart, Shana Wilson-Williams, Todd Dulaney, Jonathan Nelson, Kierra Sheard, and many more. Detroit native, Alise King is an R&B soul artist better known as The Soulful D.I.V.A. She is a 6-time Award winning POWERHOUSE vocalist and is the embodiment of soul. Alise King has performed the national anthem for the Detroit Tigers, as well as opened for Aretha Franklin, Funk Legend George Clinton & Parliament Funk, CeCe Peniston, Bobby Brown, Kelly Price, Chante Moore, Klymaxx, Dru Hill, Next and The Emotions. Detroit’s own 10-year old Jason Kolbusz is an inspiring singer/actor that is deeply inspired by Motown’s finest along with his favorite, the late great Whitney Houston. 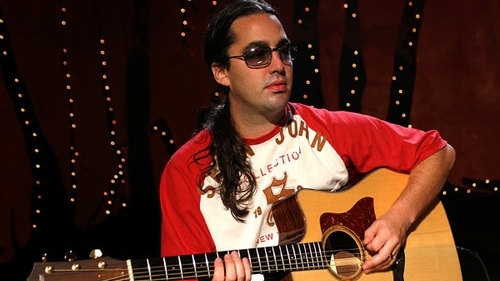 Jason is mostly known for his powerful rendition of the national anthem and performances in the local theaters. Born and raised in Detroit, sisters; Tj, ChiChi, and Sarita are a successful singing group known as “Love Iam”. Granted with the gift and desire to sing, they inspire to keep the integrity of music alive. Some of the highlights of their career have been performing for the Detroit Princess boat, “Puttin on the Ritz”, Detroit Noel night, New Year’s Eve D drop, and many more. 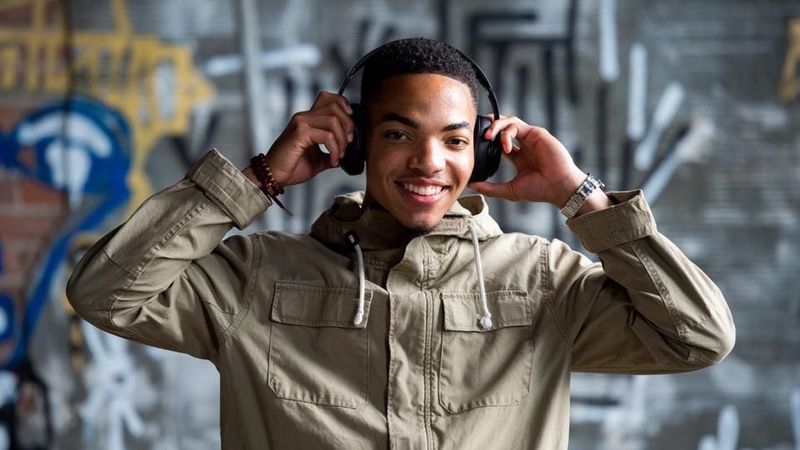 Born and raised in Detroit, C3 is a third-generation singer/songwriter with a rich musical heritage. Coming from a family of musicians rooted in Gospel and R&B, C3 has been tapped to perform several special events around Detroit, including an appearance on WDIV Detroit’s broadcast news segment Live In The D, and Detroit’s annual Concert of Colors festival. Jibreel Mawry played the original little Michael Jackson in “Motown the Musical,” and was hand selected by the genius himself. Attending the Alvin Ailey School of Dance and professional Performing Arts School, Mawry has honed his skills as a performer. Michael Marie Montgomery is a 10 year old elementary national honor society member, Girl Scout and award winning competitive dancer. She has a passion for learning, dance and all things Michael Jackson, whom she was named after. Brandon Rose started playing the bass guitar at the age of 5. Brandon began lessons with Detroit Bass Player Henry Roberson in 2004, and after one lesson Roberson said,“This kid is a natural”. One year later Brandon made his bass playing début at his church Word of Faith in Southfield MI, where he still plays on occasion. Since then Brandon has traveled to Los Angeles on several occasions playing his bass in vendor’s booths at the NAMM show and for Bass Player Live sponsored events. Drew Schultz is a songwriter, drummer, percussionist, producer, and educator who has worked with legendary artists including the Temptations, Four Tops, Aretha Franklin, Martha Reeves & The Vandellas, Dramatics, Maurice White of Earth Wind & Fire, and many more. As a Pre-Production Engineer for Universal Motown Records, Drew has credits on multiple releases by the Jackson 5, David Ruffin & Jimmy Ruffin, and more. Detroit’s own, Eboni Tierra is an actress, singer and creative director. She is best known for her performance in countless stag plays including Angela Barrow-Dunlap For Colored Girls as Lady in Green; co-starring Kelly Price, Angie Stone and Robin Givens. She has worked alongside director/producer Donald Welch as Coordinating Producer for TV One’s popular inspirational stage play, The Lost Souls Café starring Loretta Devine and Christian Keyes. The Music Hall Center for the Performing Arts is poduced a tribute to Aretha Franklin and they have assembled a super band of performers including guest singers and musicians. Below are some of the fantastic artists that participated in the very first Detroit Music Weekend.